We’ve known for awhile that American Horror Story would return for a seventh season. Today came the news that Ryan Murphy’s anthology horror show has received two more seasons on top of that. The show has been a consistent ratings hit since its 2011 debut, reports Entertainment Weekly; the fact that season six’s reality-TV phantasmagoria Roanoke emerged the top “limited series” program among viewers ages 18-49 no doubt encouraged FX to make the generous re-up. So now, it’s time to speculate on what the themes will be. One has to be the much-discussed crossover, but that still leaves two seasons wide open for whatever Murphy can dream up. We had mixed feelings about Roanoke, but as long as Sarah Paulson signs on for the duration, we’ll be there. 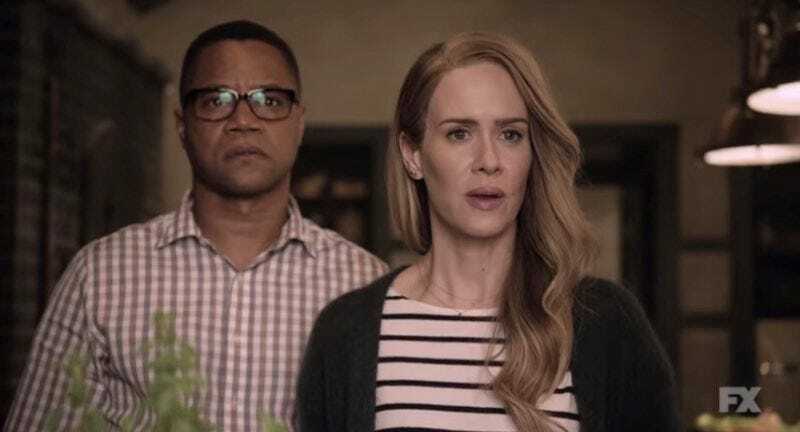 Update: Entertainment Weekly further reports that Sarah Paulson and Evan Peters are the first cast members confirmed to return for season seven; Ryan Murphy also said that the season will be “a modern-day story” but the theme will be kept under wraps until the show airs, much like Roanoke on both counts.